A test of America's homeland missile defense system found a problem. Why was it called a success? WASHINGTON — If North Korea ever unleashed nuclear-armed missiles against America, the defense of U.S. cities and towns would depend to no small degree on something called a divert thruster. These small rocket motors would be counted on to keep U.S. anti-missile interceptors on target as they hurtled through space toward the incoming warheads. If the thrusters malfunctioned — and they have a record of performance problems — an interceptor could veer off-course, allowing a warhead to slip through. The consequences could be catastrophic. So a lot was at stake when the Pentagon's Missile Defense Agency conducted the first flight test of a new and supposedly improved version of the thruster on Jan. 28. An interceptor launched from Vandenberg Air Force Base in California was to make a close fly-by of a mock enemy warhead high above the Pacific. The interceptor's four attached thrusters would provide precision steering. The missile agency issued a news release that day touting a "successful flight test." The agency's lead contractors were no less effusive. Aerojet Rocketdyne Inc., maker of the thrusters, said the new model "successfully performed its mission-critical role." 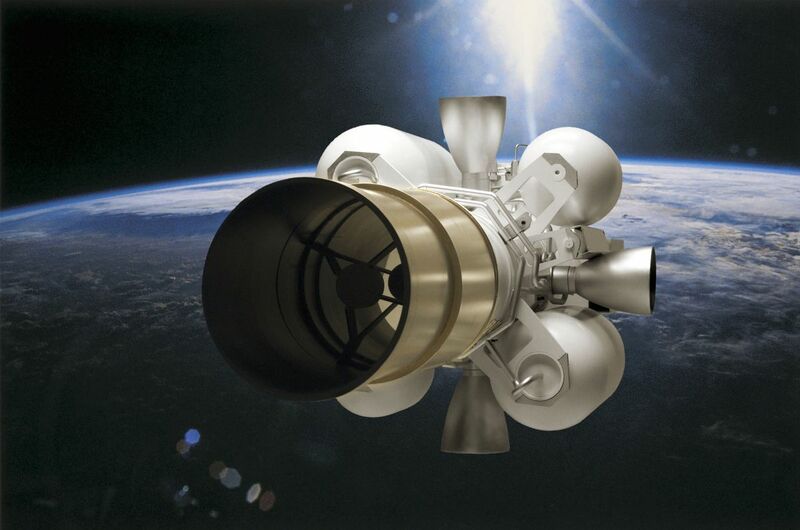 Raytheon Co., which assembles the interceptors, said the "successful mission proved the effectiveness of a recent redesign of the … thrusters, which provides the control necessary for lethal impact with incoming threats." In fact, the test was not a success, the Los Angeles Times/Tribune Washington Bureau has learned. One of the thrusters malfunctioned, causing the interceptor to fly far off course, according to Pentagon scientists. The mishap raises fresh questions about the Ground-based Midcourse Defense system, the network of ground-launched interceptors that is supposed to protect the United States against a nuclear attack. The system, known as GMD, has cost taxpayers more than $40 billion since it was declared operational in 2004. It is being expanded at a rapid pace despite stubborn technical problems that have undermined its reliability. In carefully scripted tests, the system has failed to intercept and destroy mock warheads about half the time. Project engineers for the Jan. 28 test had planned for the interceptor to fly within a narrow "miss distance" of its target to test the new thrusters' effectiveness. That is not what happened. The closest the interceptor came to the target was a distance 20 times greater than what was expected, said the Pentagon scientists, who spoke on condition they not be identified. "The mission wasn't successful," one of the scientists said. "Did the thruster perform as expected? No, it did not provide the control necessary for a lethal impact of an incoming threat." A second scientist said the claims of success by the Missile Defense Agency and the contractors were "hyperbole, unsupported by any test data." Asked for comment by The Times, the agency acknowledged, for the first time publicly, that a problem surfaced during the Jan. 28 exercise. "There was an observation unrelated to the new thruster hardware that has been investigated and successfully root-caused," the agency said in a written response to questions. "Any necessary corrective actions will be taken for the next flight test." Among aerospace scientists, "root cause" refers to the source of a system failure or malfunction. It is typically identified through an exhaustive review by an expert panel called a "failure review board." The agency statement did not offer any detail on the "observation," or explain what went wrong during the test that required an investigation. It did say that "the new thrusters performed as designed" and within "critical performance parameters." Asked whether any of the thrusters stopped working at any time during the exercise, the agency declined to comment. It also declined to say how close to its target the interceptor was supposed to fly, or how close it had actually flown. That information is "classified and not releasable," the statement said. A spokeswoman for Raytheon referred questions to the missile agency. Aerojet Rocketdyne representatives did not respond to emailed questions. In appearances before Congress, the agency's director, Vice Adm. James D. Syring, has expressed no concerns about any aspect of the test, including the thrusters' performance. On April 13, he told a Senate defense appropriations subcommittee that the test had "enhanced" the agency's confidence in the GMD system. Syring was unavailable to comment for this article, according to an agency spokesman. When Syring was delivering his positive message on Capitol Hill, engineers and technicians at the Army's Redstone Arsenal in Huntsville, Ala., were analyzing data from the test to figure out what went wrong, according to the Pentagon scientists interviewed by The Times. The scientists said a possible culprit was a faulty solenoid valve _ a circuit that supplies power to the thrusters from the interceptor's battery. If that circuit turns out to have caused the malfunction, it would represent a serious technical problem in the complex web of components that the thrusters depend on. A breakdown at any point can spell failure. "It tells you that there is a problem that you really need to get your arms around, or else it's going to bite you," Coyle said. The GMD system is intended to thwart a "limited" nuclear attack by a non-superpower adversary. Its roots go back to the Clinton administration, when concern began to mount over North Korea's nuclear ambitions. Rocket interceptors based at Vandenberg, along the Santa Barbara County coast, and Fort Greely, Alaska, form the backbone of the system. There are 30 operational interceptors _ four at Vandenberg and 26 at Fort Greely. With bipartisan support in Congress, the Obama administration is moving ahead with plans to add 14 by the end of 2017, all at Fort Greely. America's defense against a massive nuclear attack by Russia or China relies on deterrence _ the assumption that none of the major nuclear powers would launch a first strike, for fear of a devastating counterattack. The GMD system emerged out of concern that a rogue state with unstable leadership might not be deterred by the threat of retaliation. Advocates said the United States needed a homeland defense system that could intercept and destroy incoming warheads _ a feat that has been compared to hitting one speeding bullet with another. The Clinton administration funded research and testing for what became GMD, but declined to make the system operational, saying more work was needed to overcome technical problems. That changed after President George W. Bush took office in 2001. As a candidate, he had called for deploying a domestic missile defense system without delay. In 2002, Bush ordered "an initial set of missile defense capabilities" to be put in place within two years. To accelerate deployment, then-Defense Secretary Donald H. Rumsfeld exempted the missile agency from the Pentagon's standard procurement rules and testing standards. Government officials and independent scientists have traced the system's difficulties to the breakneck pace at which components were designed, produced and fielded. In response to an attack, rocket interceptors would rise from their underground silos and climb toward the upper atmosphere. At the edge of space, the 5-foot-long, 150-pound interceptors, known as "kill vehicles," would separate from their boost rockets and fly independently at 4 miles per second. This is where the divert thrusters would play a crucial role. Four of them are attached to each kill vehicle. The thrusters would burn liquid propellant and expel exhaust to point the kill vehicle toward its target. As the interceptor closed in on a warhead, the thrusters would fire repeatedly, making high-precision adjustments to ensure a successful "kill." That is how it's supposed to work. In fact, the thrusters have performed erratically. They are prone to uneven, rough combustion of fuel _ akin to a coughing engine in an old car. The resulting vibrations are believed to have caused or contributed to some of the GMD system's test failures. The thrusters came under heightened scrutiny after interceptors failed to hit their targets in successive test flights in 2010. The missile agency blamed the first failure on a missing fastener in the thruster assembly. This caused "an inflight failure of one of the … divert thrusters," according to the Pentagon's office of operational testing and evaluation. A failure review board attributed the second miss to severe vibrations from the thrusters, which disrupted the interceptor's internal guidance system. In 2011, the missile agency and its contractors began designing a new version, an "alternate divert thruster," that would burn fuel more smoothly. The agency intended to retrofit existing interceptors with the new model _ and also install it in the 14 new interceptors to be deployed at Fort Greely. But the new thruster failed a ground test in late 2013, and officials scrapped those plans. Instead, they said they would leave the original, flawed model in the 30 currently deployed interceptors. As for the 14 new interceptors, officials decided to equip the first four with the old thruster and put the redesigned version in the remaining 10. Driving these decisions was the tight timetable for expanding the system to 44 interceptors by the end of 2017, according to government auditors and independent scientists. The Government Accountability Office, a nonpartisan investigative arm of Congress, faulted agency officials for rushing the engineering work on the new thrusters and "omitting steps in the design process." In March 2014, a panel of outside experts appointed by the missile agency recommended that each of the redesigned thrusters, or a sampling, be subjected to rigorous, "hot-fire" testing before being installed in interceptors. The motors would be revved up on the ground to see whether they burned smoothly and delivered sufficient propulsion. But the testing might have slowed the expansion of the interceptor fleet, and agency officials rejected the recommendation. The GAO criticized the decision, saying that forgoing the tests "increases the risk for reliability issues going undetected." In December 2014, Syring said the redesigned thrusters would be put through their paces in an upcoming launch. The exercise, he said, would show whether engineers had eliminated the "vibration and oscillation" that had undermined the GMD system's performance. "If we're going to 44 (interceptors) by 2017, we must remain dedicated to making those 44 as effective as possible," Syring told a defense policy conference in Washington. Nine days before the test flight _ ultimately scheduled for Jan. 28 of this year _ Syring again underlined its importance. The "primary objective," he told a gathering of defense specialists, was to "fully flush out and fully test" the new thruster and find out whether the redesign had fixed its "fundamental problem." At 1:57 p.m. on that sunny Thursday, a three-stage rocket and its attached kill vehicle rose amid a fiery plume from a silo at Vandenberg, a scene framed by the Pacific on one side and the rugged Sierra Madre Mountains on the other. Minutes earlier, a C-17 military transport flying west of Hawaii had launched a mock enemy missile into space. The test involved hundreds of technicians and support staff stationed on vessels in the Pacific and at various military installations. Land and sea-based radars were mobilized to track the target. Commercial ships and aircraft were excluded from thousands of square miles of airspace and sea lanes as a precaution. The total cost of the exercise: about $250 million. In an attempted intercept, the kill vehicle tries to crash into its target. In this test, the kill vehicle would instead execute a series of intricate maneuvers. One of the four thrusters stopped working during the maneuvers, and the interceptor peeled away from its intended course, according to the Pentagon scientists. One of them said the thruster remained inoperable through the final, "homing phase" of the test, when the kill vehicle was supposed to make a close fly-by of the target. Within a few hours, the missile agency and the contractors had issued their news releases, using the words "success" and "successful" repeatedly. The contractors' releases were approved in advance by the agency, according to its then-spokesman, Richard Lehner. On April 14, Syring told a House Armed Services panel that the flight test had been "successfully executed," adding: "We were able to exercise fully the new alternate divert thruster." Syring was not asked, nor did he volunteer, how the thrusters performed.